Debra Waldoks is a US Registered Dietitian-Nutritionist with a Master's Degree in Public Health, and additional training in Functional Nutrition. She has a private practice in Israel and New York. 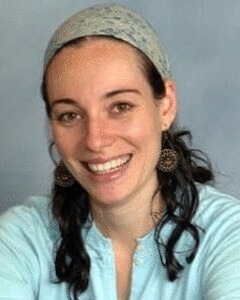 She is an adjunct nutrition professor at Hebrew University where she is teaching Maternal and Child Nutrition. She is also an evidence analyst for the Academy of Nutrition and Dietetics. Her nutrition specialties include perinatal nutrition, Fertility & PCOS, pediatric nutrition, and breastfeeding. She lives in Israel with her husband and three children. Prior to moving to Israel, she lived in New York City, where she implemented public health programs for women and children. Public Health: Whose Job Is It Anyway?